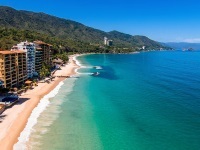 Puerto Vallarta has become a popular spot for foreigners to retire or buy that second home. Because of this popularity, you'll have a good selection of realtors, ownership properties & condos, property management services, and architecture & development firms. 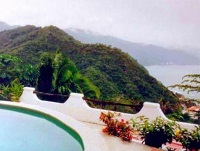 Applegate Realtors has been the trusted name and leading real estate agency in Puerto Vallarta, Mexico since 1967. We are dedicated to building trustworthy relationships through personalized and professional attention in every step towards finding your dream home. It’s this tradition that has brought back returning clients again and again for all of their real estate needs in Puerto Vallarta and the Banderas Bay region. Cochran Real Estate has provided experience and knowledge of the real estate market to buyers and sellers in the Bay of Banderas. Our team is ready to assist you with your needs. 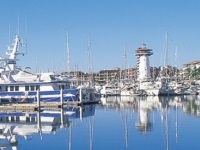 Pacific Paradise Realtors is a full service Real Estate Company that will meet and exceed all your needs. We have 30+ years in the real estate and finance industry. In the USA, we are Real estate & Mortgage banking licensed in multiple states. In Mexico we hold the highest and most recognized certification. The Mexican Government Conocer certification and AMPI. More importantly when working with a company ensure they have and do own property in Mexico and are licensed in the USA. Compound of three 4 level, 400 sf 3 bedroom Majestic Dramatic Villas with Breathtaking Views FOR SALE Together/Separately. On top of the exclusive Conchas Chinas hills in a private, gated cul de sac with huge rooms, vaulted ceilings, stunning unobstructed views of the bay and the Mountains, dramatic Moorish architecture, private pools and total privacy. 3 large bedroom suites, partially open-air bathrooms, each with gorgeous views 4 levels, maid's quarters and bath, full kitchen, dining room. Puerto Vallarta beautiful condos for sale, homes, villas search Puerto Vallarta real estate on MLS. The trusted name in real estate in Puerto Vallarta since 1967. 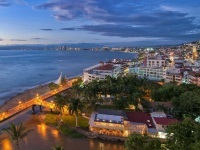 We've been advising and working with buyers, sellers and developers in Puerto Vallarta.